There’s a new fad in sci-fi at the moment, which is actually a very old one: serialisation. 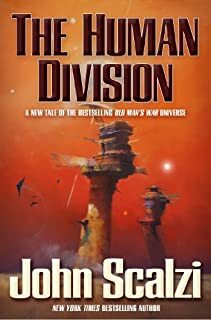 The mighty John Scalzi is releasing The Human Division, the latest book in the Old Man’s War series, in episodic format. Each episode of around ten thousand words or thirty pages is being released one-by-one in ebook format for 99c, and there will be a bundled compilation–the whole book in one, basically–once the series is complete. Reading about this got me thinking about episodic storytelling. It used to be a very common format in literature back in the days when newspapers and magazines were the predominant form of media. Arthur Conan Doyle’s Sherlock Holmes stories are probably the most famous example; they ran in The Strand magazine from 1891 to 1930, with a brief interruption after Conan Doyle had attempted to kill off his hero, before outraged fans demanded his return. But in recent decades it’s obviously television that’s taken up the mantle of episodic storytelling. Phenomenal, wonderful stories have been doled out, week by week, one hour at a time, with the best shows every bit the equal of classic literature. The Sopranos, The Wire and now Breaking Bad; each of them cast a bright, often harsh light on society and the human condition, with vivid characterisation and gripping, often shocking plotlines. The reason the episodic, serial format interests me is the way in which the writer–to write episodically in a way that’s satisfying and compelling–must mesh two types of story arc. The first is the macro, the long arcs of both plot and character which carry across an entire season, or series. The ‘big story’ if you like. A novel typically contains just these arcs, to take the reader from the start of the book to the end. The protagonist leaves home, kills the dragon, and learns something about herself along the way, in a nutshell. The challenge is in their combination. In telling a satisfying story that can stand on it’s own, setup, action and conclusion all wrapped up within the hour, or the thirty pages; but also developing those characters along their personal series arcs, and progressing the broader overarching plot, at the same time. It can’t be easy, and I’ve developed a newfound respect for television writers who pull this off week after week, season after season. So what am I going to do about it? Well, I’m going to write a series, of course! For the foreseeable future most of my writing focus will continue to be on my novels–Venus Rising will be out in April, then I’ll start on the draft of the third book which is already outlined, with a fourth to wrap up The Unity Sequence coming after that–but I’m also going to start noodling away at a series. 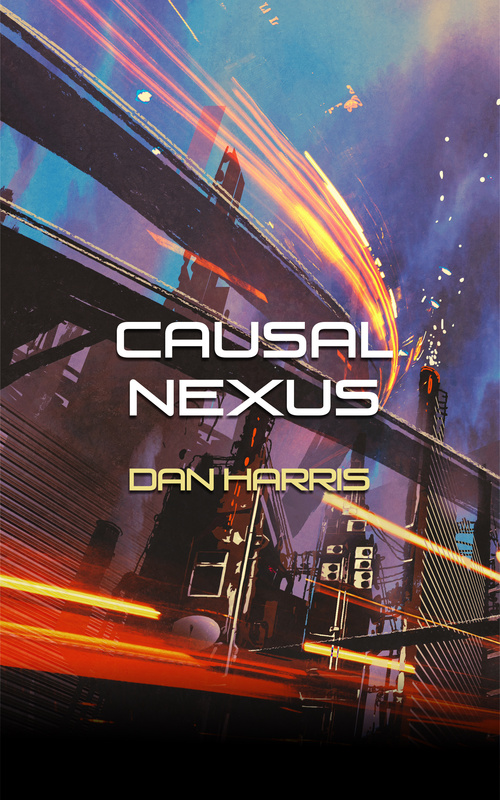 I’m not sure yet if it’ll be episodic literature in the style of Scalzi’s The Human Division, or my first foray into screenwriting, but likely the latter; I think shifting between prose to script will provide some refreshing variety, and I’ve always wanted to give screenwriting a try. I’ll cut you off there, my imaginary friend. Because it seems that indie publishing catalyst and retail behemoth Amazon is now in the studio business, too. All pitches welcome. Come one, come all–you don’t need to know anybody, you just need a good enough story. Man, it’s a great time to be a writer. But what about you, dear reader: are you an enthusiastic consumer of episodes, or do you prefer a single, longer story? Or do you just combine the two and binge-watch an entire season of Homeland on a rainy Sunday? Should I Be Giving My Books Away? Loved this post. I had thought of it, of serializing my next book, but decided I’d wait until I’ve done more writing and have more work out there. Then I might reconsider. Glad you liked it! It’s great to have the flexibility to publish any kind of story you like. Exciting times. Enjoyed the post. I think Joss Whedon is a good example of a writer that successfully combines the macro/micro arcs in episodic storytelling. I’m looking for examples of platforms that still publish episodic stories. Do you know any? Hi Astrid, glad you enjoyed the post. Couldn’t agree more on Joss Whedon; he’s created some of my favourite shows of all time. Masterful writer. Platform-wise you’ve a few options that I know of. There’s Amazon KDP, where lots of indie authors have had success publishing both short stories, and long series. There’s also Wattpad, which I haven’t used myself, but I know has a huge reader base and some great stories with lots of ongoing interaction between the writer and their readers as the story develops.